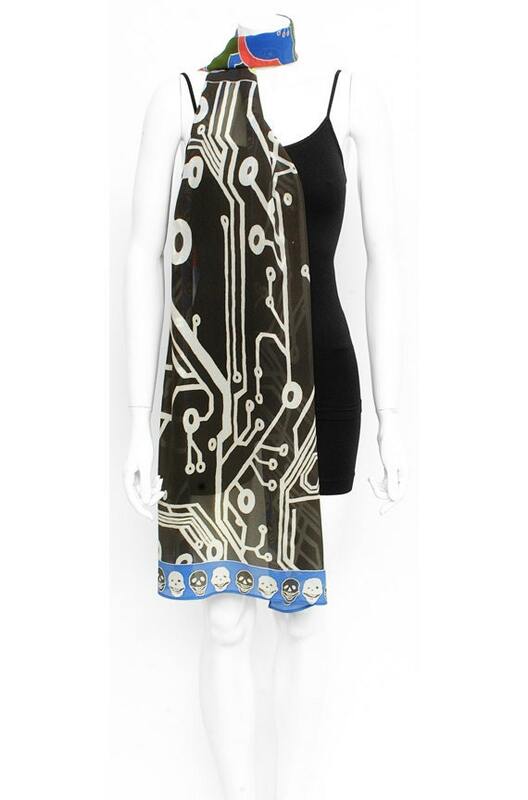 One-of-a-kind hand painted silk scarf with two images. 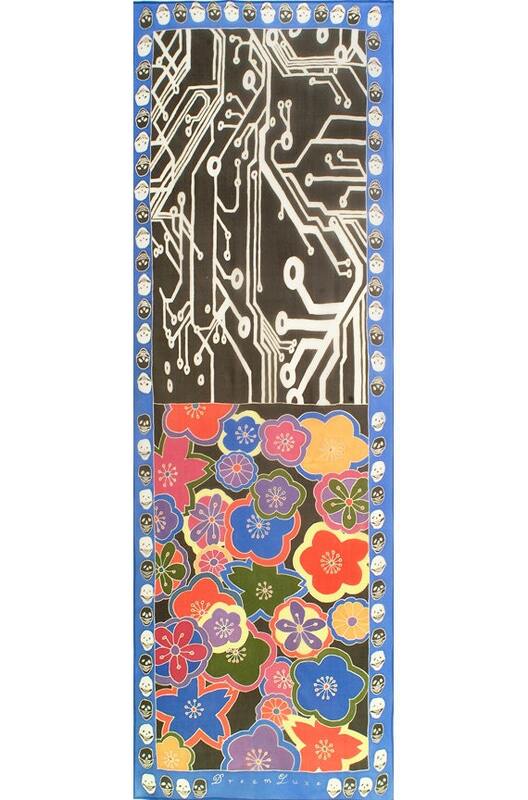 One end has colorful kimono style flowers the other has a black and white circuit board image. The edges have small skulls all around. 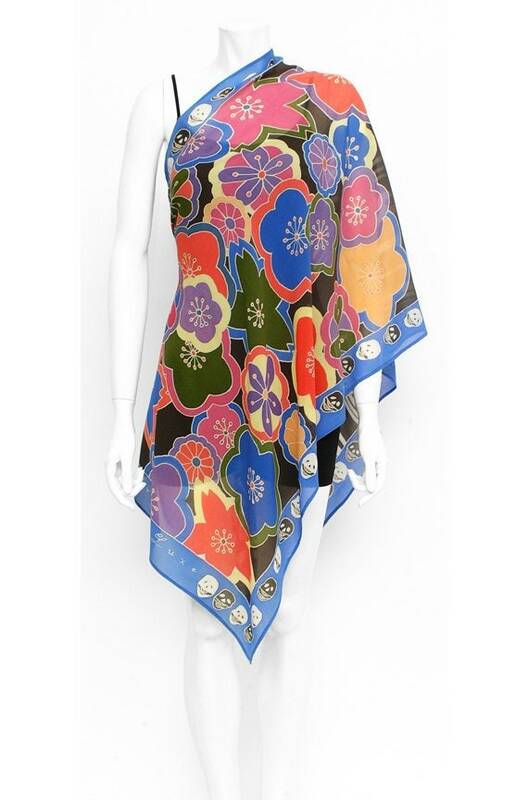 The Chiffon scarf is the perfect accessory for elegant or casual nights. Its very light, soft and transparent. 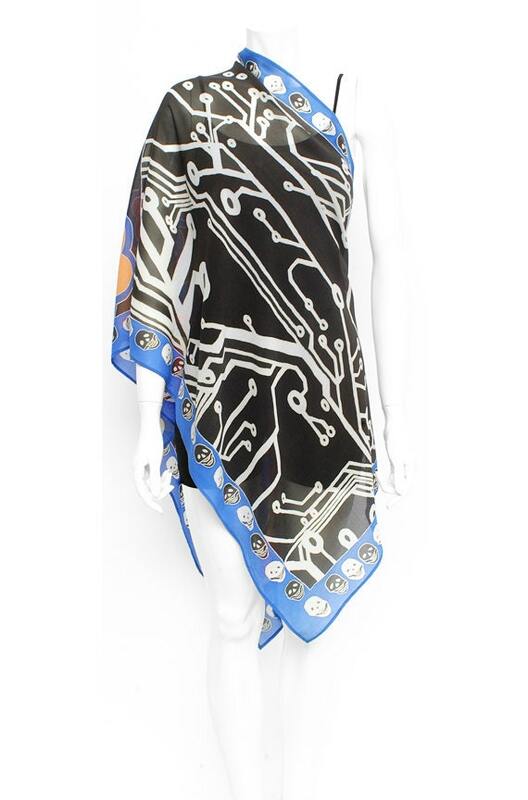 This scarf is hand painted on a top quality Chiffon silk (100% pure silk) with professional quality silk paints. A perfect gift for a friend, girlfriend, wife, or even a man.